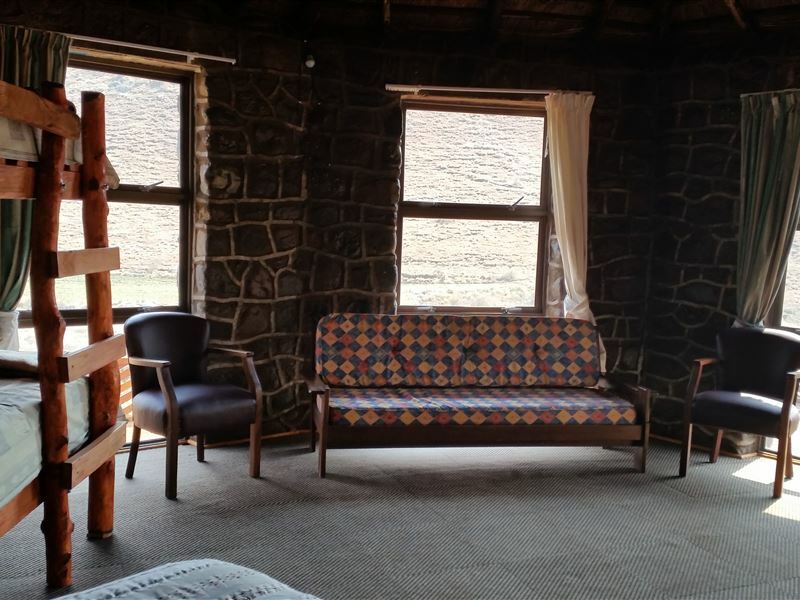 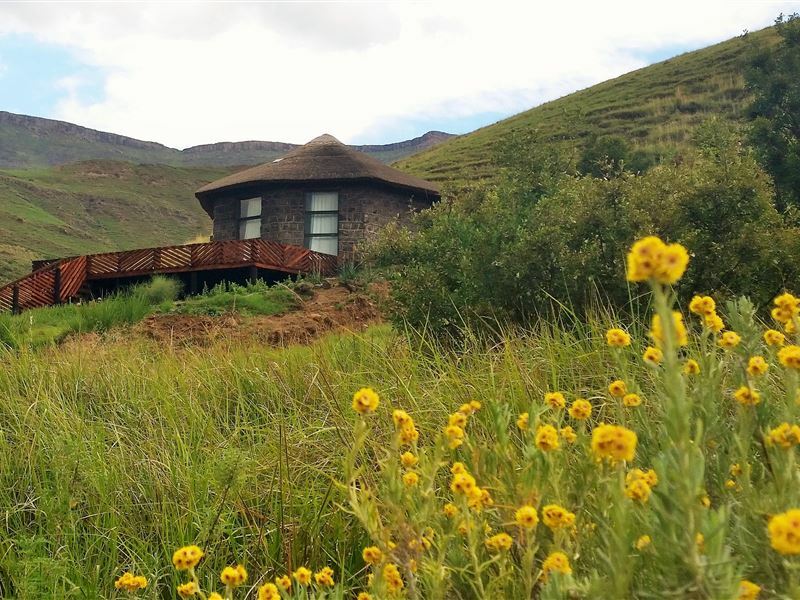 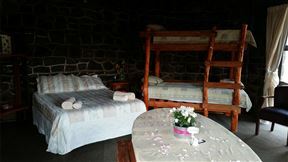 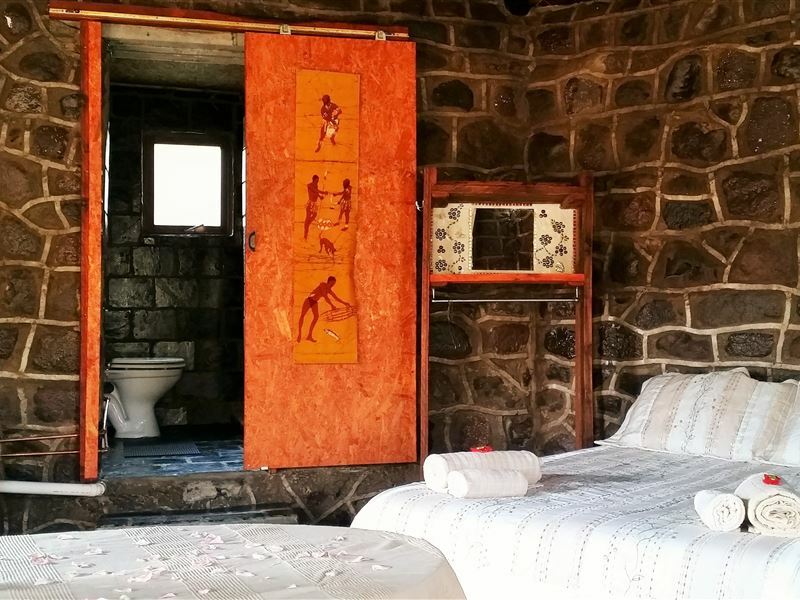 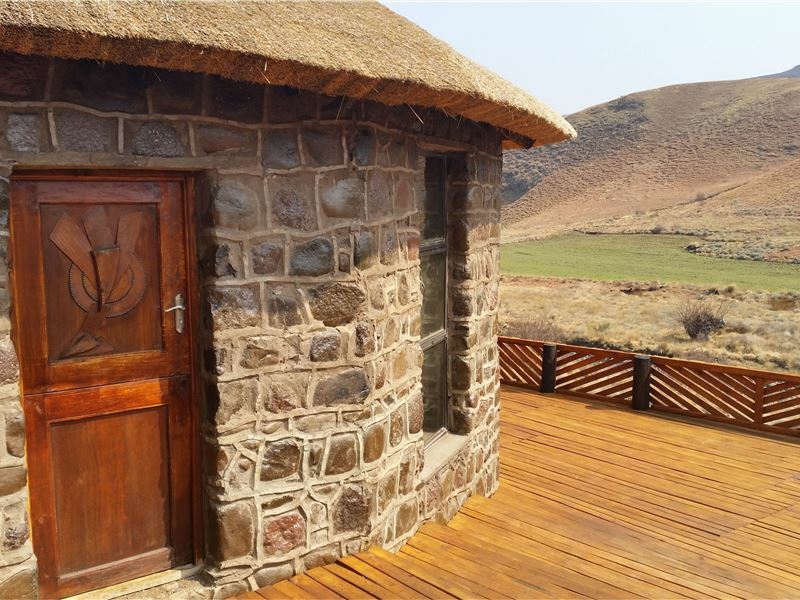 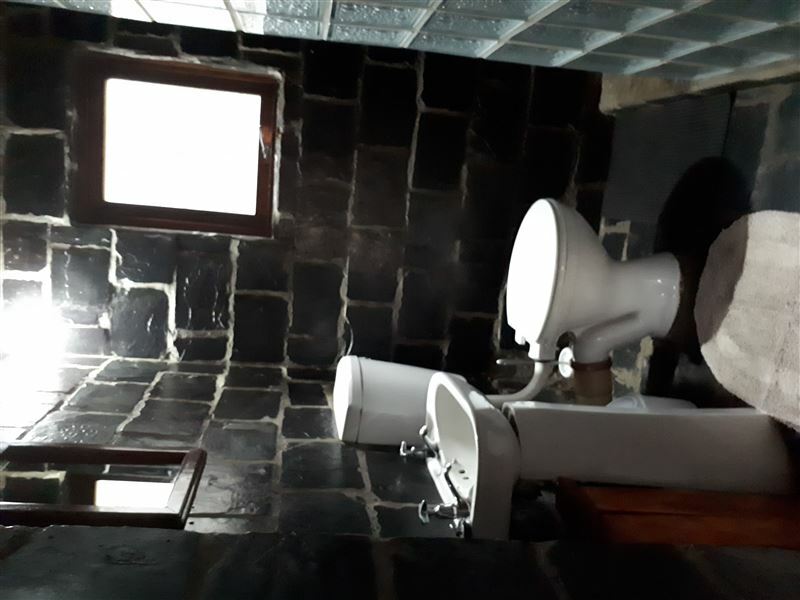 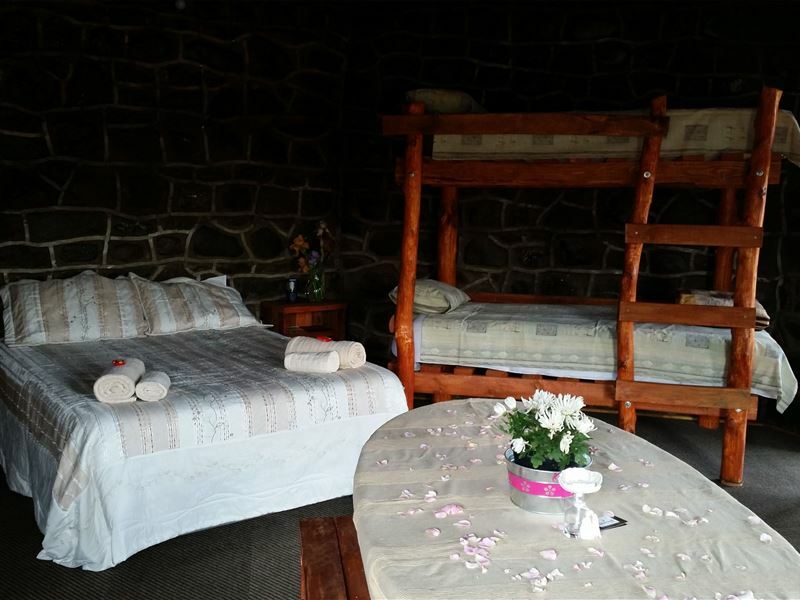 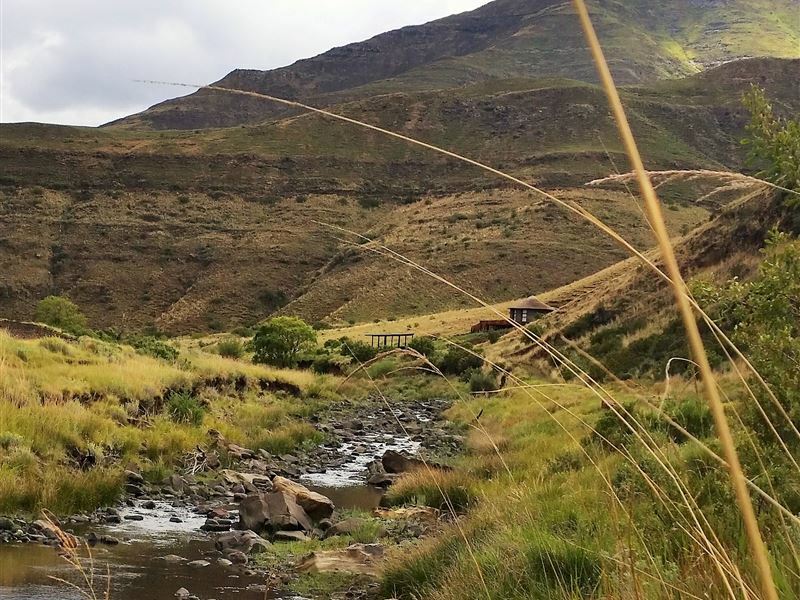 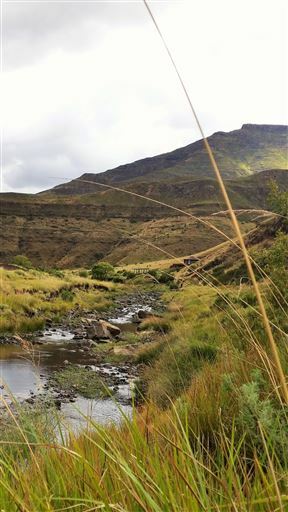 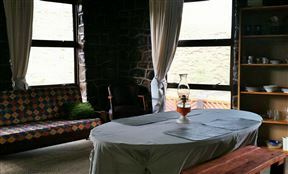 Amanzi Empilo Bungalow is situated on the bend of the Bell River, just outside of the small village of Rhodes.The bungalow comprises of an open-plan space with a double bed and a bunk bed. 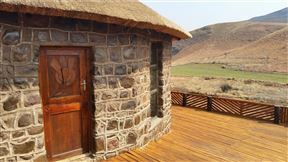 There is an en-suite bathroom, a kitchenette, a lounge and a large deck with braai facilities. 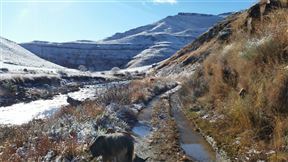 The abode also offers guests pet friendliness and parking on the premises. 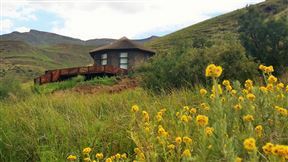 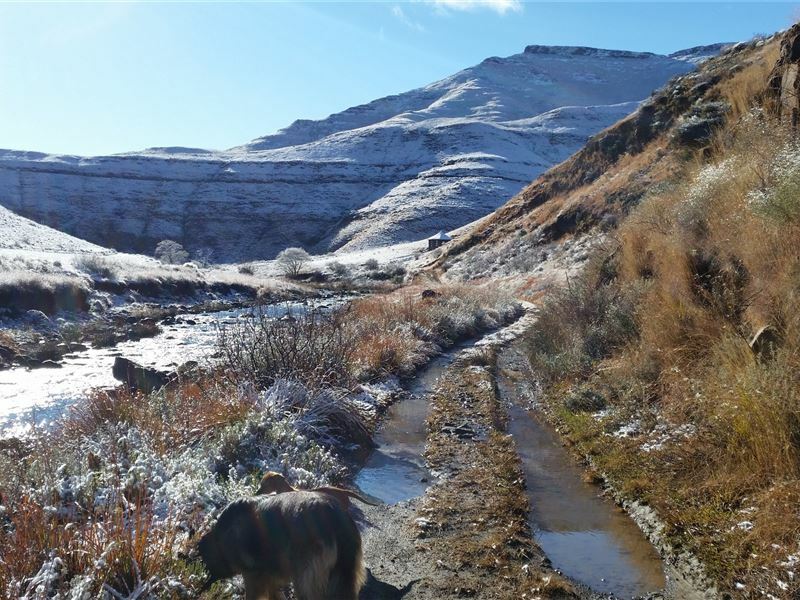 Stairs lead from the parking to the bungalow.Rhodes has many great attractions in and around the area, including the Naudé&apos;s Nek Pass, the Tiffindell Ski Resort and the Wartrail Skywalk. 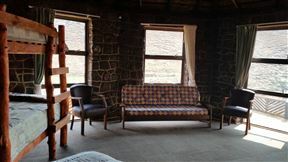 The Bungalow is open-plan with a double bed and a bunk bed with an en-suite bathroom. 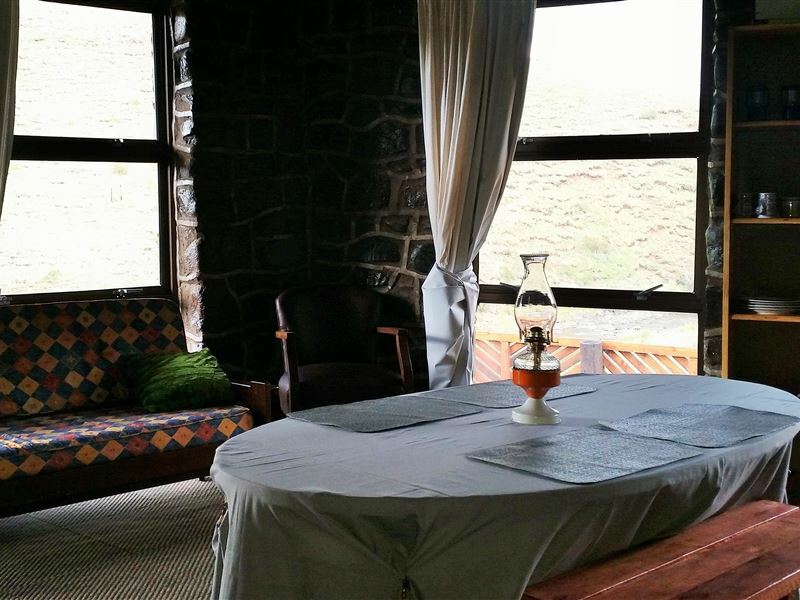 There is a kitchenette, a lounge and a large deck with braai facilities. 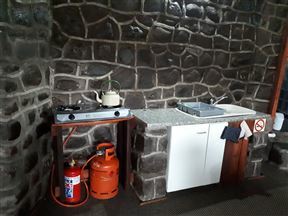 Appliances are solar and gas operated. The unit has a gas freezer. There is a hot water system for the shower and kitchen and this needs to be attended to daily.